Gisborne Girls' High School is registered with the Ministry of Education (registration no. 516) and is bound by the Code of Practice for the pastoral care of International Students. We have been caring for International Students since 1991. Preparation for Cambridge, IELTS and TOEFL is offered by a qualified teacher. Tuition in a wide variety of academic subjects. International students from many countries study at the school. Specialised English classes are available for the teaching and practice of English language skills. 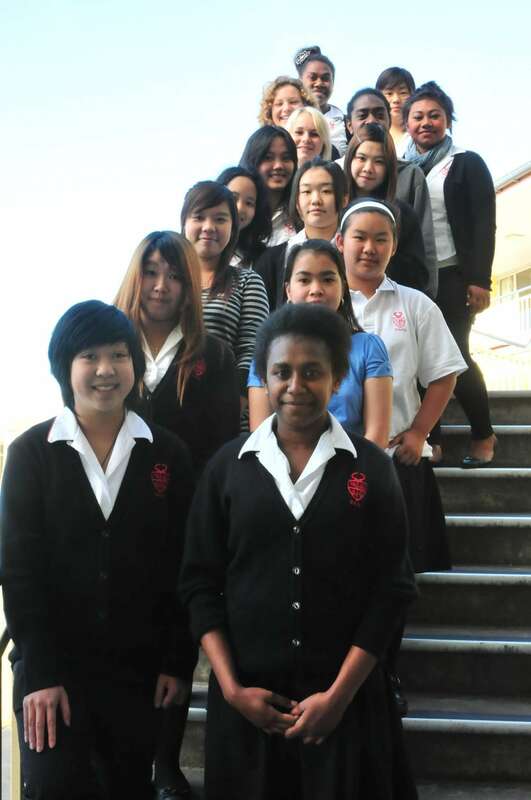 Many Gisborne Girls' High students are encouraged to see themselves in the global context. We firmly believe that interaction between different cultures enriches the academic, cultural, and social experience of both New Zealanders and International Students. I absolutely love the life in Gisborne, I enjoy my study at Girls' High -Yuan Yuan from China. The school has nice students and teachers who are always keen to help you -Laura from Switzerland. GGHS is a nice school with great people who have marvellous ideas -Anna from Austria. Open and welcoming people, motivated teachers and awesome friends from all around the world, thats what I find at GGHS -Franziska Louise from Germany. Gisborne is a beautiful quiet place, filled with awesome people. GGHS has a good study environment and motivating teachers. I have had a lot of unique experiences here which help me learn to become more independent and I will always remember my time here -Bua from Thailand.